This is Ardes, the purveyors of quality design services since 1999. We are not taking on any new work. That said, you can still have a look at our portfolio of web, logo, poster, brochure & book cover design. There are also a number of case studies. Ardes was started by Ray Drainville. He’s working on a PhD at the Manchester School of Art (Manchester Metropolitan University) on the iconography (or as he’d like to call it, iconology) of social media. Those interested in the subject might like to view some of his research. Congratulations to Ray Drainville, who just passed his PhD viva! Find out more about Ray’s research. Corporate Identity: Implicit Bias Project, Women in Philosophy Task Force, Atlas Retail Consultants; Distinctive Doors corporate & “Samson” product line logos; and much more. 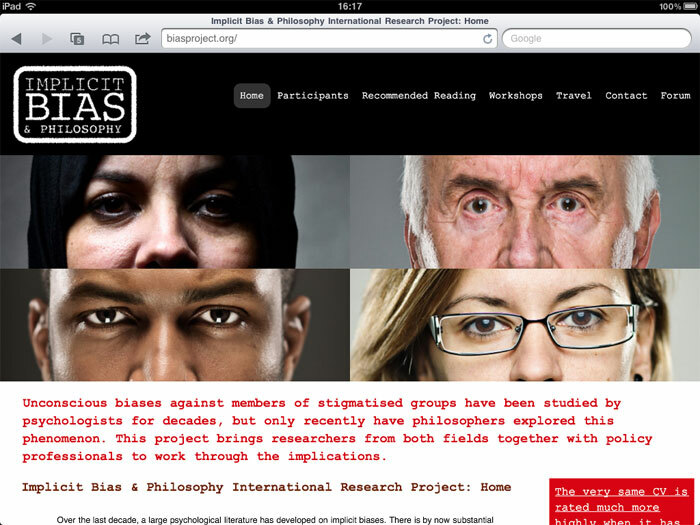 Web Development: Enacting Intentions, Implicit Bias Project, Hegel Society, Atlas Retail Consultants, Distinctive Doors. Print Work: book cover designs for Oxford University Press & posters for the University of Sheffield. Note: Ardes used to be called “Argument from Design”, but we changed the name in 2013.